This article contains spoilers throughout. Planet Weird's new five-part documentary series follows husband and wife paranormal investigators Greg and Dana Newkirk as they team up with filmmaker Karl Pfeiffer and try to get to the bottom of reports of goblin-like creatures in Kentucky. Planet Weird was created by Greg and Dana and for almost 20 years has been a hub for content relating to the paranormal, myths and legends. Over the years they've looked for proof of psychic abilities and even tried to hunt down the legendary Bigfoot. 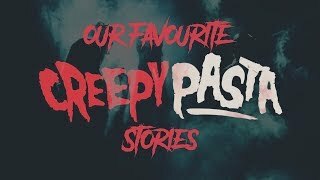 In their new web series, which is available to watch for free on YouTube, Vimeo and hellier.tv, they attempt to get to the bottom of an unsolved supernatural mystery. The first episode of Hellier starts slowly as there is a lot of scene setting and back story to be told. It all started back in 2012 when Greg received a series of mysterious emails from a man calling himself David Christie. David claimed that his family were being tormented by strange goblin-like creatures, which he believed were coming from an old coal mine on his land. The email exchange contained photos of what appeared to be footprints in the mud made by a small, three-toed creature. They were also emailed by another unknown contact who used the name Terry Wriste, which was clearly an alias. Terry only added to the mystery but Greg felt that his email strengthened David's claims as at one point he named the town where the events were occurring, proving he knew what was going on. He also sent them GPS coordinates that pointed to a cave that Greg and his team had recently been to investigate, which may suggest that Terry was watching their progress or was some other way in the know. Now with Terry's confirmation on top of David's revelations, Greg was convinced that the case was worthy of investigation, but soon after that the mysterious David vanished and stopped replying to Greg's messages. Four years later, Karl stumbled across the case due to a series of coincidences and weird connections that thrust it meaningfully into his world, something that Karl described as synchronicity, a term that is used frequently in the series. Karl has always been passionate about the mysterious, uncanny and supernatural in the world around him. So, he put a team together, which included Dana and Greg Newkirk, and Conner James Randall. And this is where the story begins in episode one. By the mid-point of the first episode, the team had traveled to rural Kentucky, to the small town of Hellier on the trail of what were being described as "hairless children" and things were starting to get really interesting. The show appeared to be a mix of urban exploration, specifically underground exploration and ghost hunting. This was a strong and exciting mix and I envisioned moments later in the season where the team would get excited when something would dash past a night vision camera in a disused mine. The second episode is equally engaging, as the team question locals in the town in an attempt to identify the mysterious David, or at least find out where he once lived. What makes the team's investigation so interesting, is that they have a very open view of the paranormal, never assuming that a ghost is ghost or a goblin is a goblin. They are open to the possibility that they could be chasing a goblin, a spirit, an alien or a cryptozoological oddity from another dimension. The one possibility they don't address is the fact that given David's flakey credentials, they could actually be on a wild goose chase. Over the next few episodes it becomes more and more obvious that David never existed and the emails were merely a prank, it seems likely that Terry was in fact the same person and this is how he knew about the case. What's more it's likely that whoever is behind the prank knows Greg and Dana, hence knowing they visited the mountain cave. From this point on I can't help thinking that "David" is sat at home watching the show, laughing at the chaos he's caused. The fact that David never really existed only really becomes clear to the team in episode four when, six years after receiving the original email, they check the sender's IP address and find the messages weren't sent from Kentucky at all and actually originated from a town just an hour and a half's drive away from Greg and David's home. So, it seemed the team were well and truly lost. At one point the guys get a call from paranormal investigator, Tyler Strand, who seems to be a weird three-toe footprint expert and it seems that the team are back on track, but we never hear from Tyler again and despite the team's excitement, I couldn't really grasp what his contribution was to the investigation. Once the team have exhausted their leads, the interest and progress fizzles out. The promises of underground explorations never manifest themselves, despite the fact this seems like an obvious course of action. At one point they are told by a local that Hellier is full of old mines and that almost every house has one in the backyard. Surely this would have been a good place to start, at the mouth of any of these mines, as they believed the creatures could be found in the entire network. 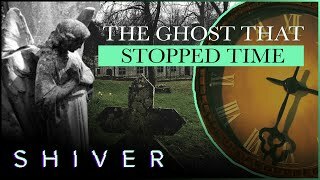 The show features large segments of the team using a spirit box, a device which by the team's own admission is "controversial" and produces questionable evidence. Surely it would have been a much better idea and better use of their time to place static cameras outside of as many of the mines that they could get access to. Instead of going to any mines or caves, the final episode of the show sees the team conduct their final investigation in a disused railway tunnel, despite the fact there's no reason to assume any of these creatures reside within the tunnel and all evidence points towards the mines. Upon entering the tunnel, the team find a tin can discarded on the floor, they deem this to be a poignant discovery as Connor had had a vision of a tin can during a spirit box session two days previously. Unbelievably, the team describe this as "THE moment" of the investigation and the most significant and strange piece of evidence they'd come across so far. The reason this moment is so significant to the team is because they lost their direction and the only story they have left to tell was the story of their journey, as there was never going to be an ending. The team tell the story of their journey through the many incidents of synchronicity, but in reality this seems like nothing but confirmation bias in ordinary coincidences as the team desperately look for any connection that might lead them further in their investigation. Sadly this is a world away from the aims they laid out in the engaging earlier episodes. Even when the team realise the whole thing is a hoax, they are not deterred and still rely on this confirmation bias to justify their continuation of the investigation. They say that David and Terry aren't important anymore, "if it was a hoax it led to real strangeness" and that "what's really going on in Hellier is what really matters." But speaking to the residents in the earlier episodes revealed nothing was going on, there were just a few vague, second-hand and unsubstantiated rumours. What I did like about the show was its broad view of the paranormal world. They spoke to residents about UFO sightings, used Tarot cards to help guide them and spoke to spirits using their spirit box. Although spirit boxes have a poor reputation, the team had a clever way of getting around this. A spirit box is basically a modified radio, it rapidly scans through FM and AM radio frequencies producing bursts of white noise and random flashes of radio transmissions. The theory behind this is that spirits can communicate by manipulating these sounds. The problem is, a lot of the words heard are nothing more than parts of songs, commercials and DJs talking on the radio. To make the output from this device more credible they isolated Conner and put headphones on him so that only he could hear the output from the spirit box, he then relayed any words he heard. Because Connor couldn't hear his fellow investigators, it meant he couldn't be influenced by their questions which could result in him hearing what he wanted to hear. While their approach was interesting and a better method than I've seen other paranormal groups use with this equipment, it did drag on a bit and I couldn't help wondering why the team were wasting their time sat outside the cabin they were staying in playing with a spirit box. The cabin had no connection to the mystery and I thought they were hunting alien goblin beasts, not ghosts. However, this comes back to Greg and Dana's paranormal beliefs. They believe that goblins might not be a physical creature and could be ghosts or spirits from another realm. But the fact remains, the original reports were of physical sightings, not voices through a spirit box or any other form of spirit communication. Generally the series has been very well received. It is very well produced, filmed in a beautiful cinematic style with perfect audio and a great original score, very impressive for an independently-funded documentary series. All five episodes premiered on Friday, January 18th and within a week had notched up over 150k views on YouTube alone, making it one of Planet Weird's most successful and popular series to date. In 2012, a paranormal writer receives a panicked email from a man named David, who claims that creatures are lurking on his property. After five years of twists, a team travels to Kentucky to find out what truly happened. As the team finally arrives in Hellier, a perusal of the case file prompts a stunning revelation that shifts the case into the realm of wider fringe phenomena. The search for David deepens as the team begins their investigation of the cabin and digs into public records in the town. A call with a researcher friend confirms the team's sense that something is paying attention to them. The team pulls out all the stops on the David search before receiving an extraordinary greeting. The team look for answers in the abandoned tunnel before heading home, where they try to make sense of it all. But the phenomena doesn't appear to be finished with them.